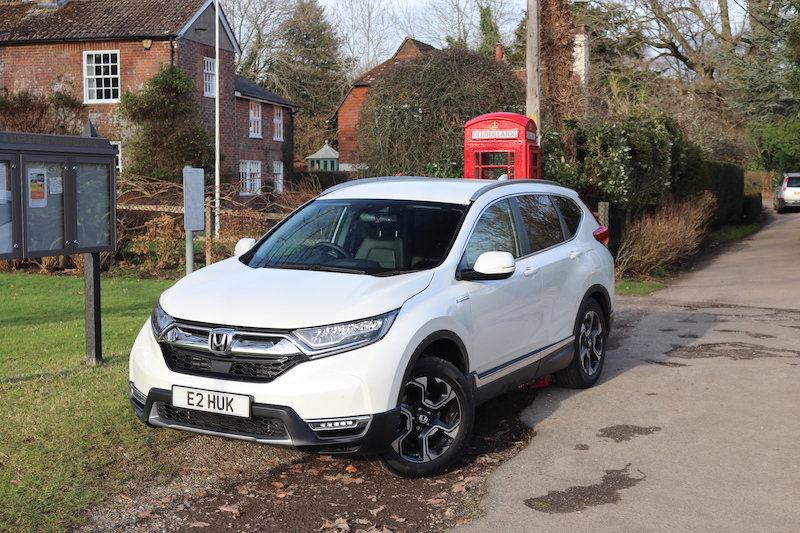 Regular readers may remember that a few weeks ago I tested the latest Honda CR-V, so you may wonder why I’m driving said car again. Well, that’s because the model tested here is the hybrid version. Unlike previous generations of the CR-V, the new model is not available with a diesel powertrain. Following dieselgate, Honda has made the move away from diesel, and in its place you now have this new hybrid system. It features a 2.0 litre Atkinson cycle petrol engine, and of course, an electric motor. The two combined produce a power output of 184hp and 315Nm of torque, which can either be fed to the front wheels or all wheels dependent on which drivetrain you go for. 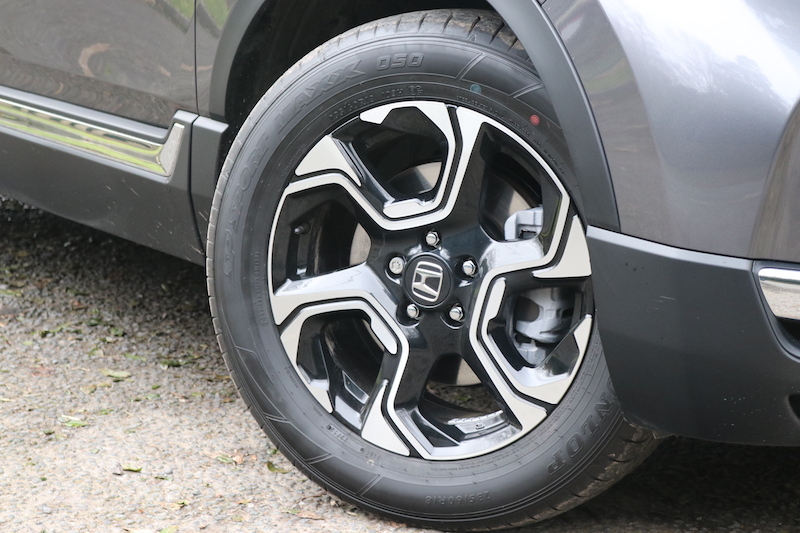 No matter which you choose you’ll get Honda’s clever i-MMD system. This stands for intelligent Multi-Mode Drive, which automatically – and for the most part, seamlessly – switches between three styles of driving. EV drive allows the car to be driven electric only, and with zero emissions, but the range is just 2km (around 1.2 miles). 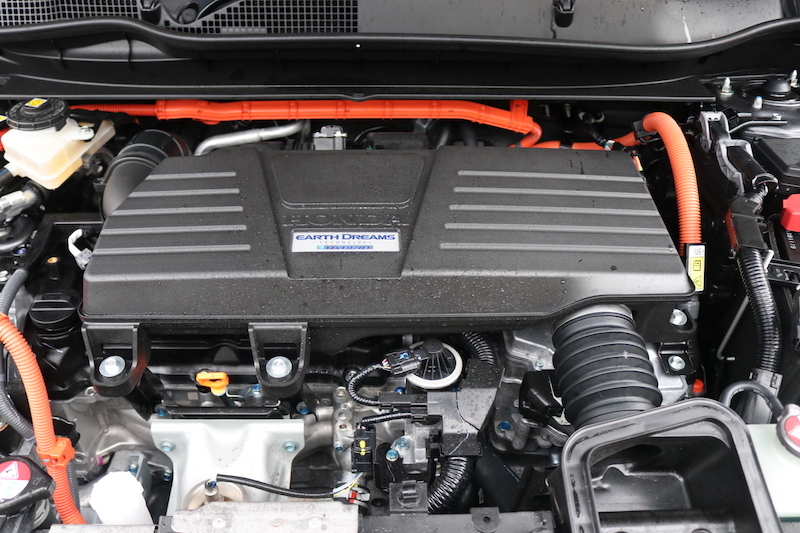 Of course, you have the hybrid drive function in which the 2.0 litre petrol is there to power the generator for the electric motor, and when faster speeds or faster acceleration is needed, the engine provides the drive directly to the wheels. 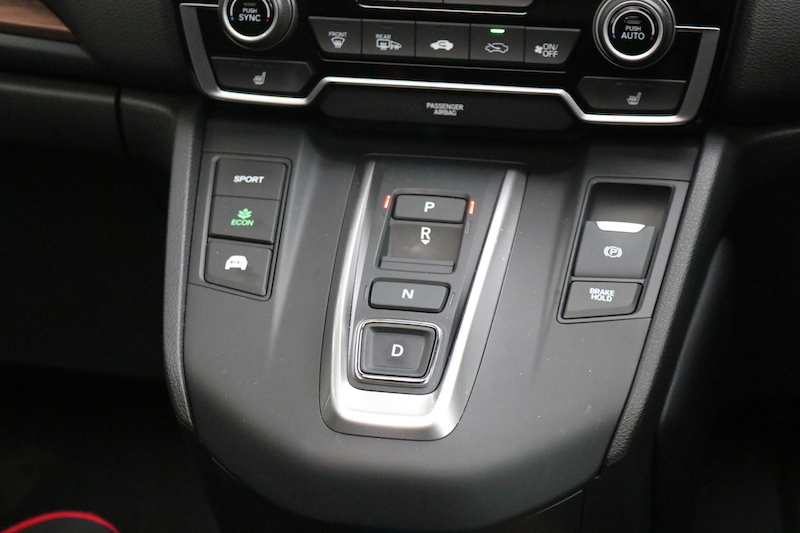 One of the most notable changes of the interior is the different switchgear for the fixed-gear transmission. Helping to perform this task is not a CVT gearbox; instead it’s a single speed fixed-ratio transmission, which Honda states is able to offer high levels of refinement, responsiveness and efficiency. In regards to performance, the FWD version will hit 62mph in 8.8 seconds, whilst the AWD will get to the same speed in 9.2 seconds – both versions top out at 112mph. I had the chance to sample both the AWD and the FWD, so let’s start with the former. Finished in a smart looking ‘Modern Steel Metallic’, I jumped in to the range-topping EX, which starts from £37,255 if you go for AWD. This means you get a lot as standard including leather seats, heated front and seats, navigation, head up display, panoramic roof, electrically adjustable driver’s seat, the list goes on and on. The interior is virtually a carbon copy, so at first you wouldn’t even realise you were in the hybrid as opposed to the petrol. 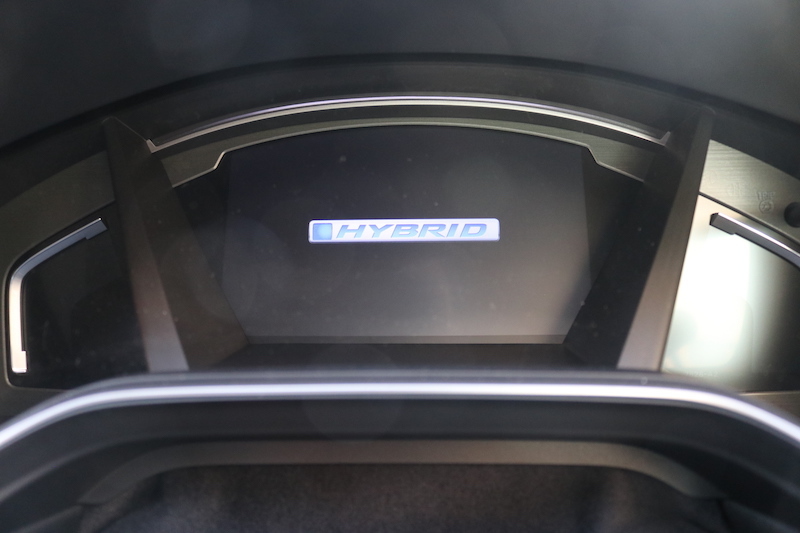 The obvious signs – other than the hybrid badges on the body – are the change in switchgear for the transmission and the digital display for the i-MMD that greets you when you fire the car up with almost no noise at all. 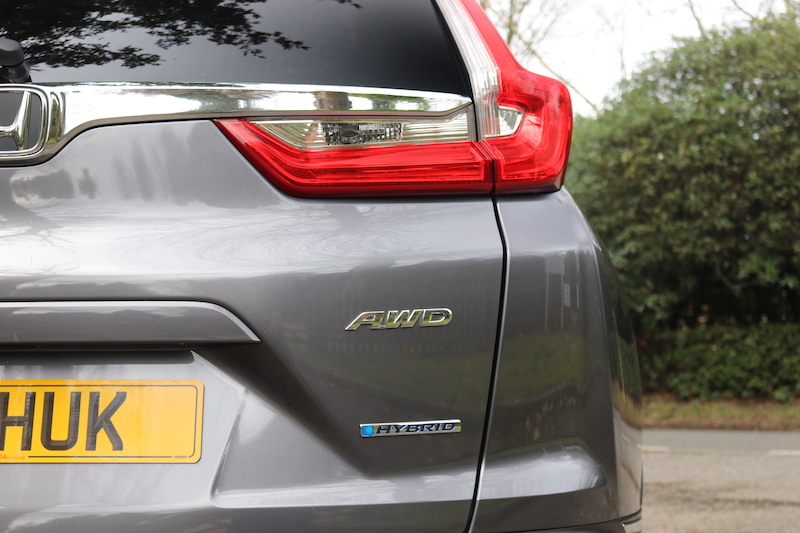 First impressions are very good; like the petrol version, the hybrid is very comfortable and easy going. 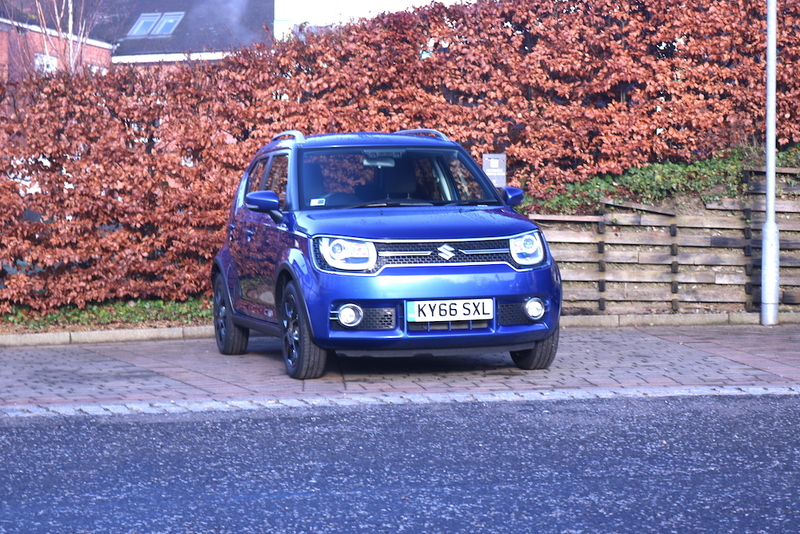 The ride soaks up bumps nicely, and the leather seats are a delight to sit in, especially as they are heated. Thanks to the powertrain, the car is quieter inside compared to the petrol, meaning it will be even more pleasant for longer journeys. 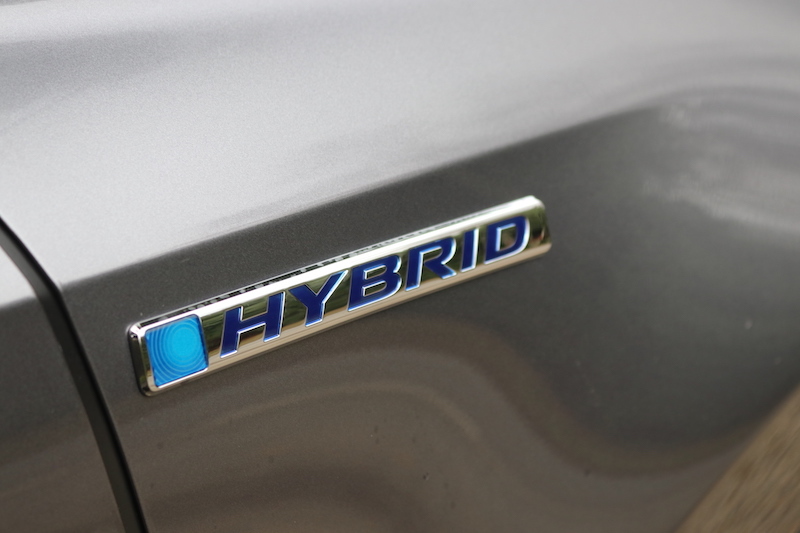 How does the hybrid system perform? For the most part, pretty well. The i-MMD system provides a different kind of driving sensation and you do need to adapt to it somewhat. 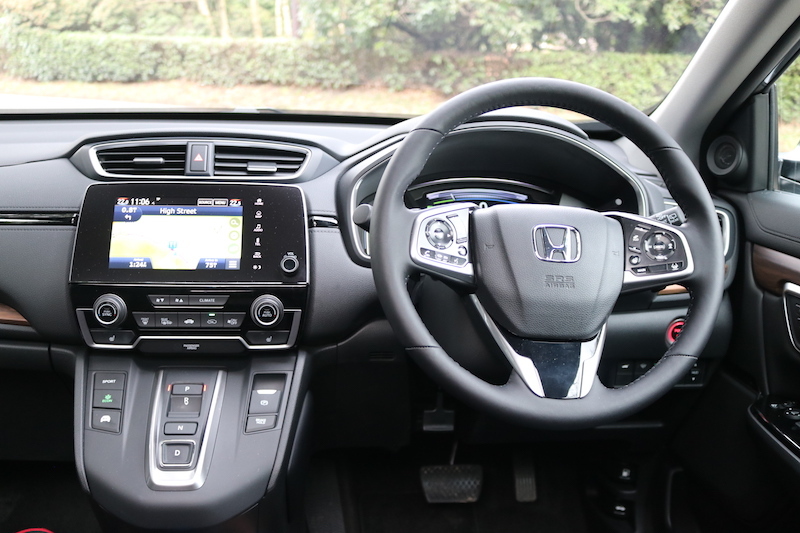 Honda states the system is able to change between the driving modes seamlessly and indeed it does – to a point. Going between EV and Hybrid is so seamless I think you’d have to be lying – or perhaps superhuman – if you said you could feel it. However, the transition in to the engine drive mode isn’t quite as seamless. Under hard acceleration you’ll note quite the pause as the revs build up as the transmission connects the petrol engine to the ‘lock-up clutch’ so it drives the wheels instead of powering the generator. This sensation feels similar to the ‘rubber-band’ effect you from a traditional CVT. To be fair though, it only really happens when you mash your foot in to the carpet, which is a driving style unlikely to be common practice for the majority of owners. No, the best way to get the most out of this easygoing, smooth is to take care with the throttle. It needs to be worked progressively, in a gradual manner, almost as if you’re trying to coax it in to action. If at this point you think this is going to a tricky car to drive, you’d be far from the truth – you just have to adapt your driving style. It’s also fine for overtaking, so don’t think it’s going to be a burden on the motorway, because once the engine drive is engaged, it works just fine. The car can become vocal when you accelerate hard, but it’s still quieter than the 1.5 litre petrol and in normal driving conditions the car is a peaceful place to be. Yes, there’s a little bit of road and wind noise that enter the cabin, but it’s far from deafening. 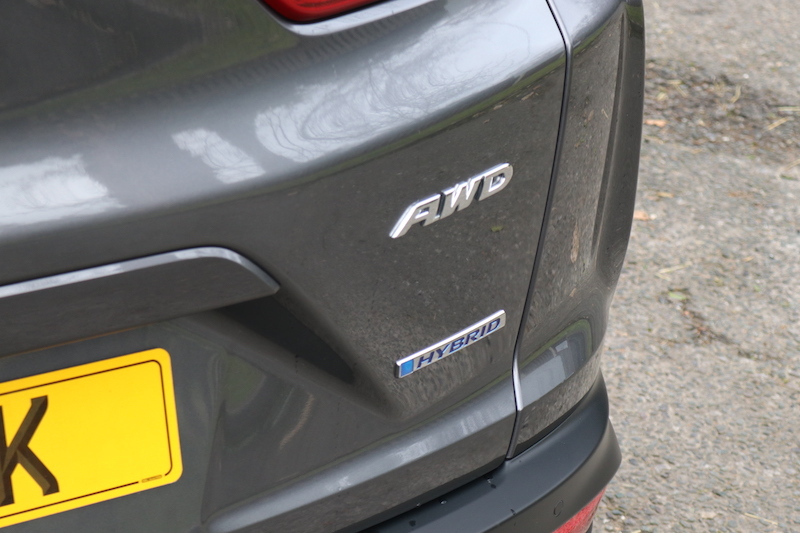 There’s a strong chance that fuel economy will be the prime reason for opting for the hybrid over the petrol engine, so I’m sure you’ll want to know how it fares. If you go for the all wheel drive version, you’ll get 51.4mpg on a combined run, along with 126g/km – those are NEDC figures by the way. For the first year of VED you’ll be required to pay £155, and the same applies if you go for the front wheel drive. Speaking of the front wheel drive is a lighter car, and as such, it’s more fuel efficient. It’s able to offer 53.3mpg on a combined run and it emits 120g/km. BIK comes in at 26% if you go for a AWD EX, and 25% if you were to opt for a FWD SR. 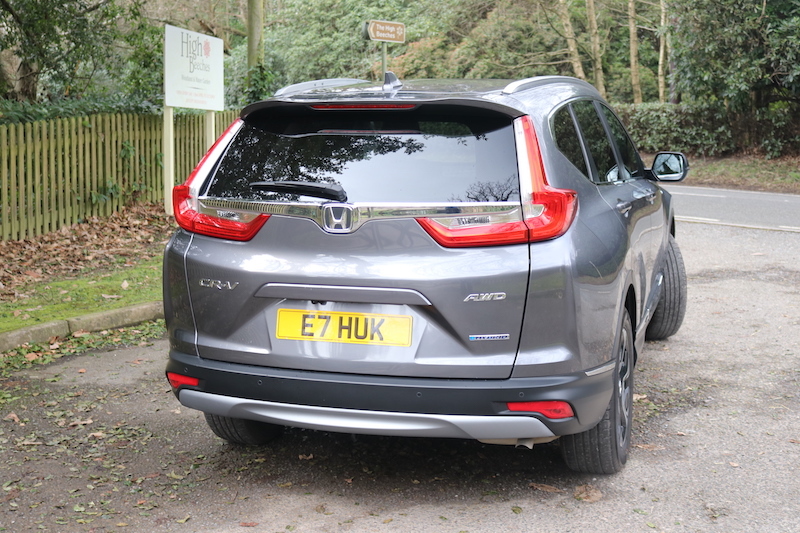 The standard CR-V has plenty of space, so it should come as little surprise that the hybrid version follows suit. This means you get plenty of space in the front and the same can be said for the rear. There’s also plenty of cubbyholes as well, so the hybrid version offers a high amount of practicality like its petrol version. There is a small downside, though – due to the space needed for the batteries, the boot has been cut down from 561 litres to 497, but it’s still more than usable. 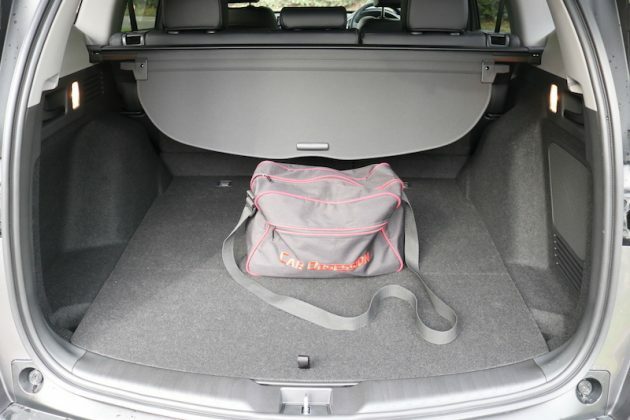 The boot may be smaller, but it still offers a good amount of space. 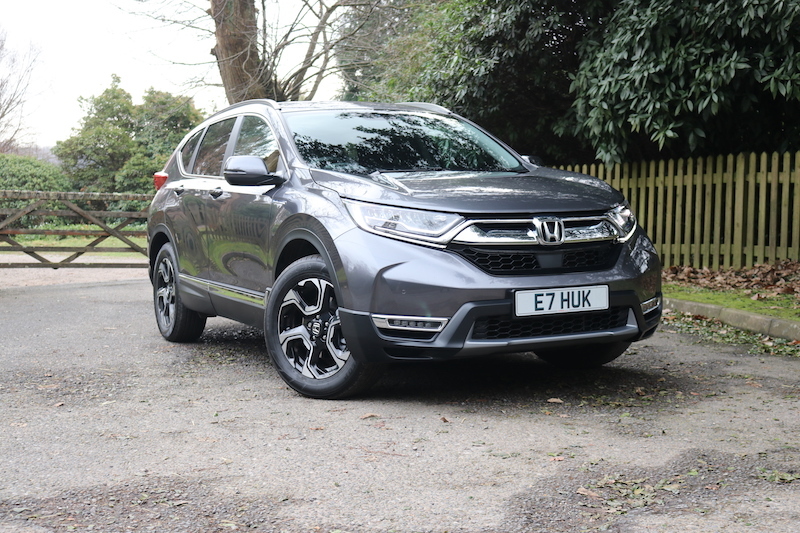 The petrol CR-V is far from masterpiece when it comes to handling, but to be fair, Honda’s main focus for this model was not dynamic handling. The extra weight of the hybrid system doesn’t help matters I’m afraid, as the roll is a little more pronounced, and the car feels far from nimble. 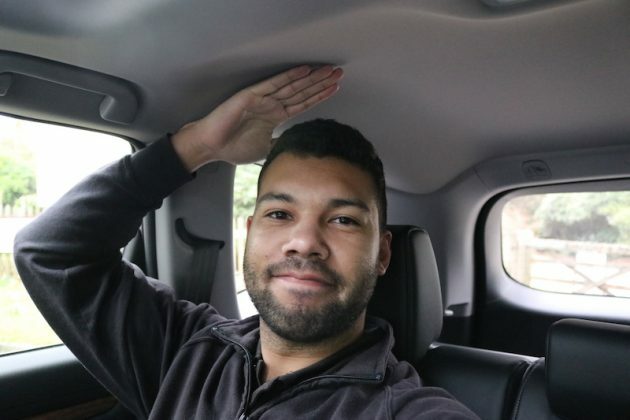 Mind you, it’s competent enough to make you feel confident in the car’s ability, plus the steering is well-weighted, although devoid of a lot of feedback. The grip isn’t outstanding but it’s assured enough to make you feel safe. What about the front wheel drive? After my spell in the AWD EX, I took the keys to a FWD model in the SR trim level (EX is AWD only) in a very resplendent Platinum White Pearl. 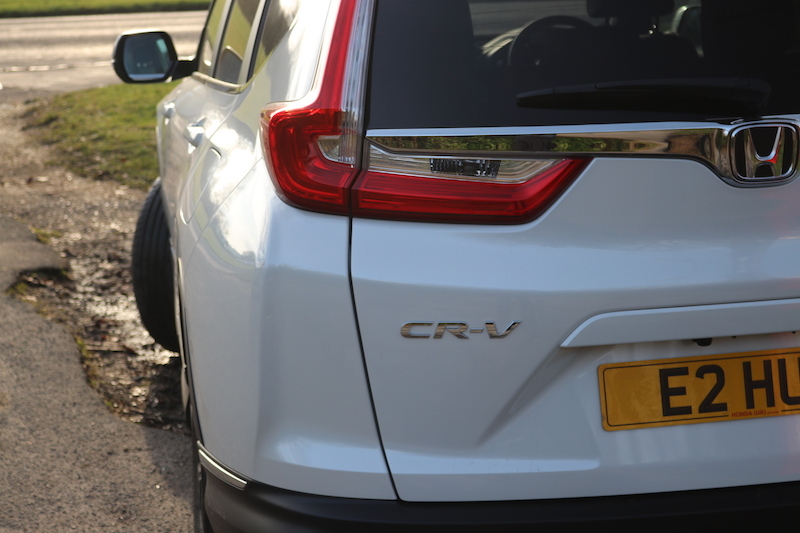 It’s not a colour I’d normally choose for a CR-V, but it suited the car well under the low, winter sunlight. 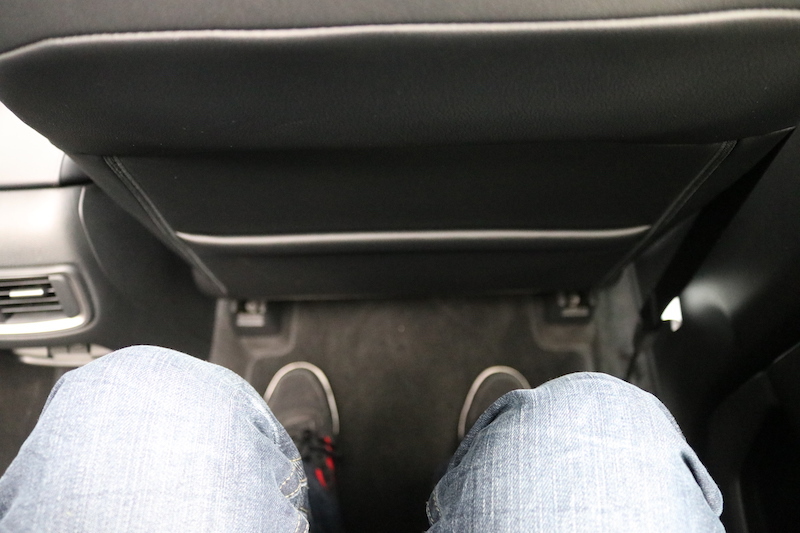 Aster setting off in the car, it didn’t take me to long to realise the difference in ride comfort. 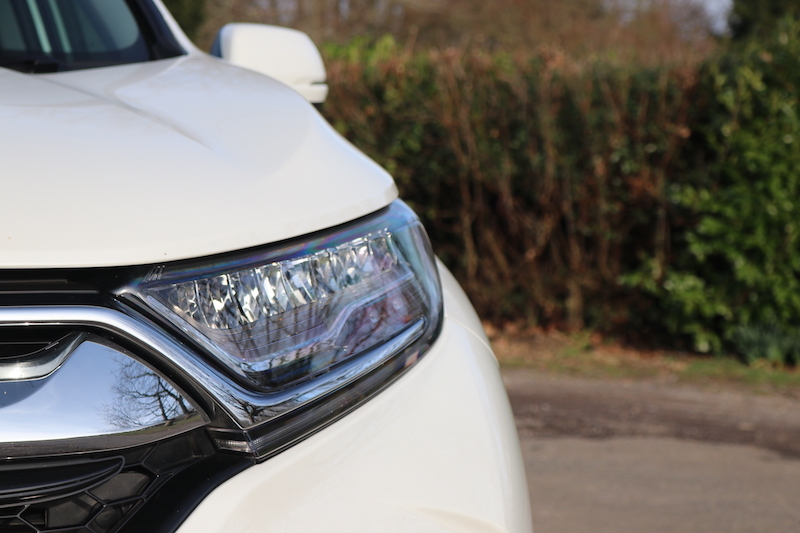 The Platinum White Pearl finish looks really good on the CR-V and it glistens very nicely under sunlight. The FWD is never crashy or outright uncomfortable, but it’s definitely more jiggly and it’s not as easygoing. Thankfully it gets better with speed, but I encountered one country road with lots of undulations and well, I was thrown around a little bit. To be fair, that was very much an extreme example – for the most part, you should find the ride perfectly acceptable. The ride comfort may not be as good, but the FWD makes up for it by being a keener car to drive. Granted, it’s not that much lighter than the AWD, but it’s enough to make a difference. It feels more responsive, and I found that the i-MMD system was smoother in this model, although that could have been down to the fact I was more accustomed to it. The FWD also feels a bit more nimble in the corners, although it’s still far from a light car. Despite this, it feels improved in the corners, and the Sport button seems to make more sense in this model as opposed to the AWD, although the CR-V is a far cry from sporty. 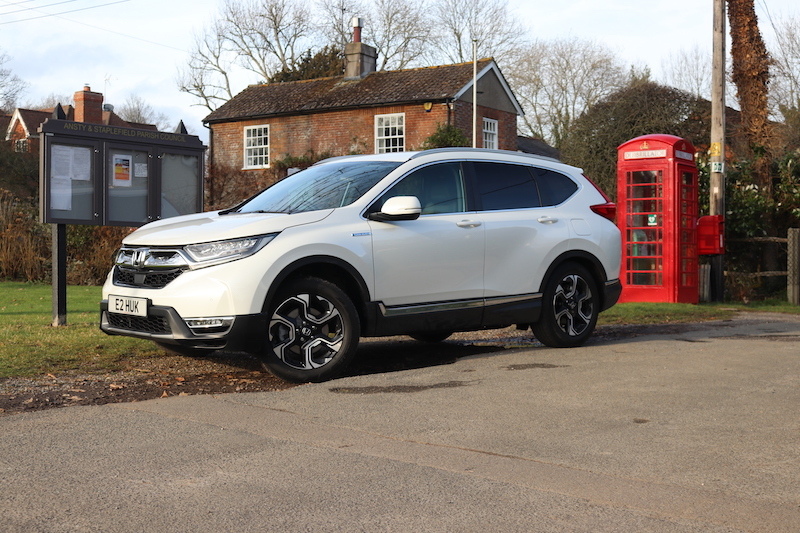 The CR-V Hybrid is bound to appeal to those looking for a mid-size SUV which won’t cost too much to run, and is able to offer a large amount of comfort, space and practicality. The hybrid system works well, but I fear that the price of the AWD EX version would be too much for some, plus the economy isn’t outstanding. I would personally recommend the FWD SR version as you still get a lot of equipment for you money and it’s a better car to drive if you can live with the lower comfort levels. It will cost less to run as well, which surely is the point of this car?